Today on Face the State we continue our look at the governor’s race with a newer candidate to the field, businessman Guy Smith of Greenwich. The Democrat is a former executive for Diageo, the Norwalk liquor giant, and he also worked on President Bill Clinton’s impeachment defense team, and Hillary Clinton’s presidential campaign in 2016. Which party has the message voters want to hear for 2018? We are joined by Darien First Selectman Jayme Stevenson, and New London Mayor Michael Passero. Both are well respected in their respective parties, so could we see their names as candidates for higher office? Plus, it could be a year of big change in Hartford. Mayor Luke Bronin will likely run for governor and police chief James Rovella is retiring. Rovella is with us for his farewell interview and what is next for him. Our flashback: hard for millennial to fathom that at one time we didn’t who was calling at the other end of a phone. 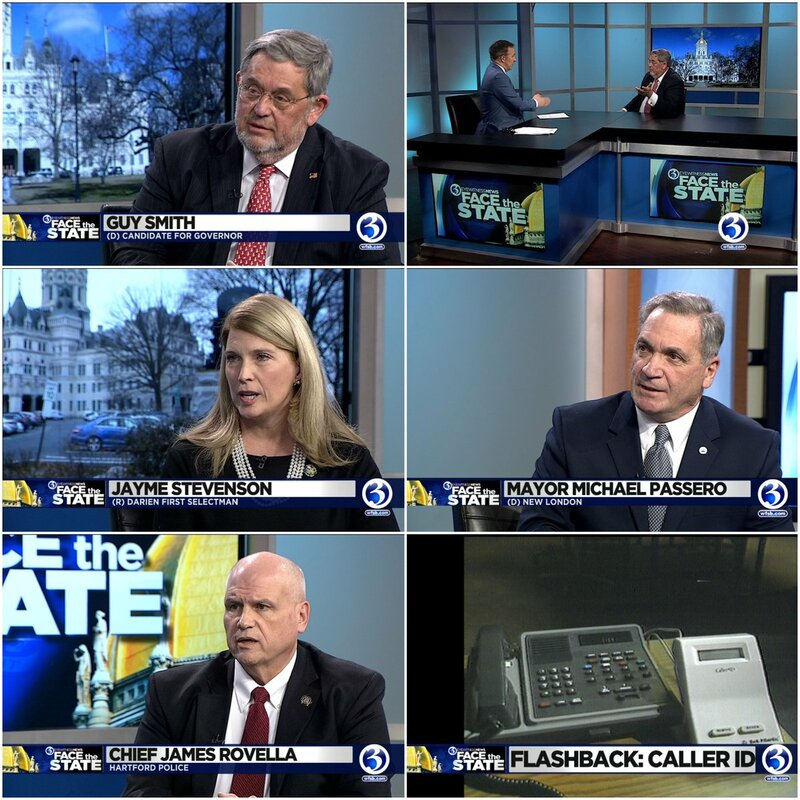 Caller ID came to Connecticut 25 years ago this week, and not everyone wanted it. Join us at 11AM on WFSB. The last thing this state needs is another person from Fairfield County to run the state. We need someone who understands everyone that lives in the state form the poor to rich, from Enfield to Danbury to Groton to Stamford. We need someone with ideas, not promises. Don;t be so hard on the locale. It’s the person. Yes, Greenwich gave CT its worst governor EVER, Lowell Weicker, but that doesn’t besmirch good people who could help our state from the “The County”. Guy Smith and Ned Lamont seem like straight-shooters. Too liberal for my taste, but I doubt they’d be as two-faced as Weicker.